Uploading a video directly to vooPlayer is the only way that we can guarantee performance, as we don't have to rely on 3rd party settings and performance, therefore, our best advice is to always use the vooPlayer as hosting service and embed videos on your site. 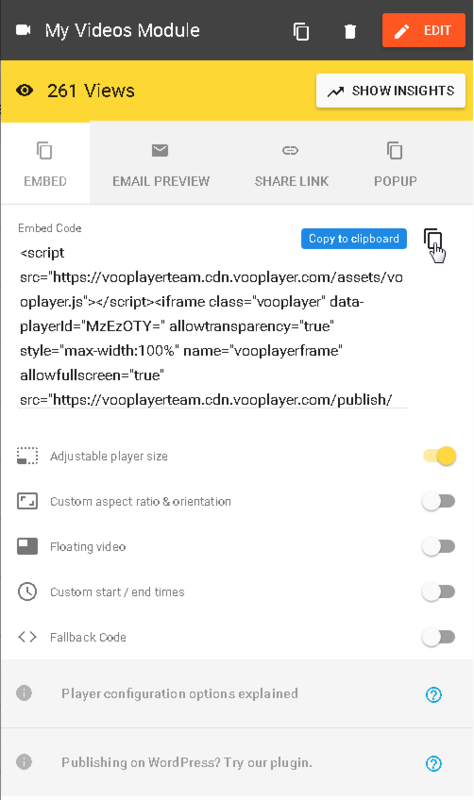 To embed a video on your site, just grab the embed code for desired video from vooPlayer interface. A pop-up window will inform you that the code is successfully copied. Now paste the code to the appropriate section on your site. That's it. The video is now embedded on your site, go to view the result. Here are some additional settings that apply on the code in real time, which means that you need to configure these options before copying the embed code. These options are described in the article Sizing and positioning the embedded and popup players. I could not see a way to save the Publish options once changes had been made? Is this correct? Since changes in the embed code are made in real time, there is no option to save these settings. 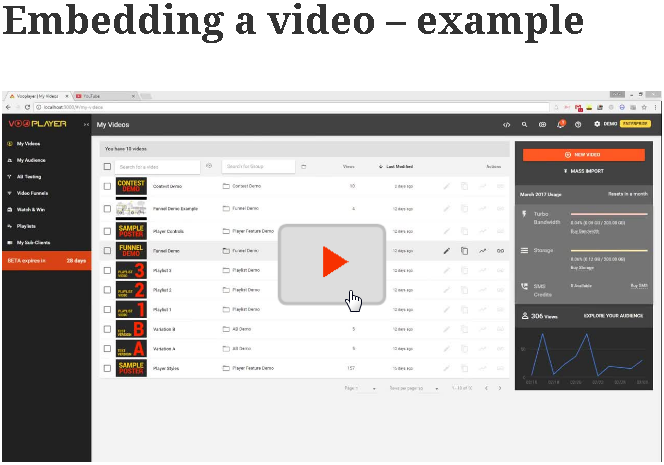 You can publish your video on a XYZ sites with different settings.